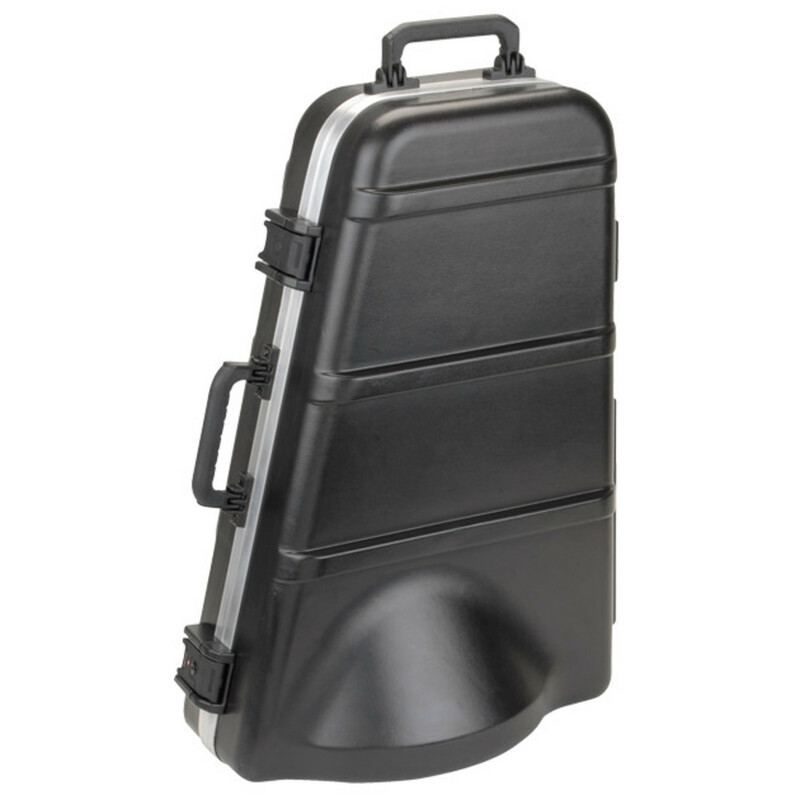 The SKB Euphonium case is made from durable yet lightweight ABS molded plastic and will accommodate a variety of upright bell three or four valve euphoniums from leading manufacturers. 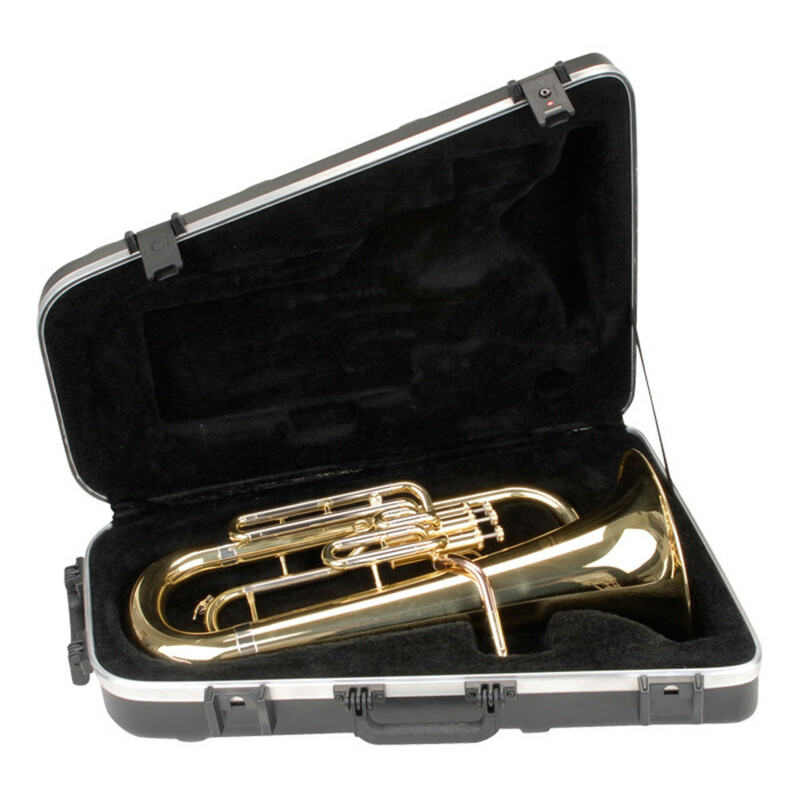 This euphonium case includes moulded-in bumpers with four oversized rubber feet for impact protection and two injection molded, rubber over-molded cushion grip handles for comfortable transport. SKB?s patented glass reinforced nylon trigger release latches with a TSA lock enables the user to safely lock the case and still have it inspected by airline security personnel. 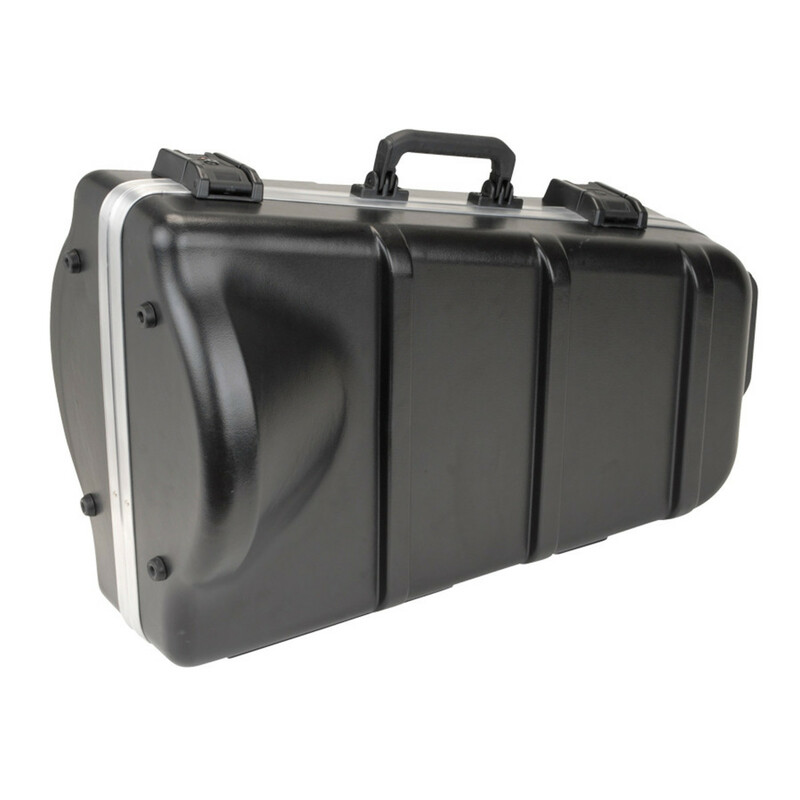 The interior features plush, lined foam to hold the instrument securely which will make the case popular with schools that need a solution for protecting the instruments that are in constant use. 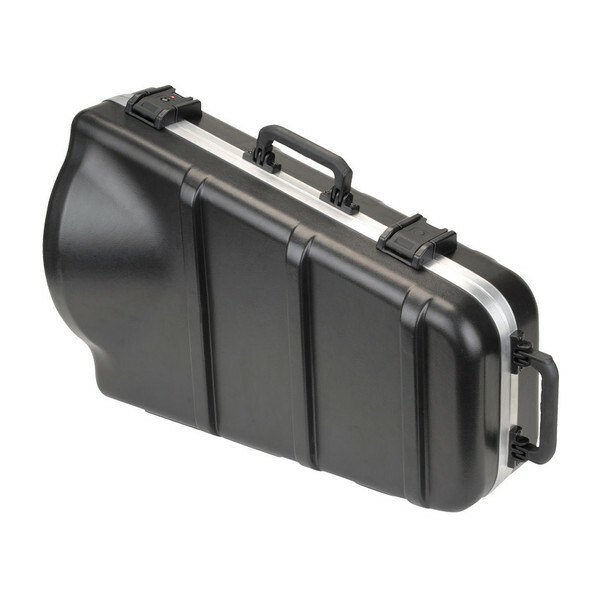 SKB Band and Orchestral instrument cases are designed around "industry standard" sizes. The Yamaha YEP-321 and Anthem A-5000 are known to fit perfectly in this Euphonium case. The YEP-321 and the A-5000 both feature an 11" upright bell. There is also relief in the side of the case for euphoniums that have 3 top action and 1 side action configuration rather than the 4 top action configuration. The maximum measurement inside the case for the bell is 13", but it is not recommended to go much bigger than 12" in bell size. From the top of the bell to the bottom of the horn is approximately 27.25" and it is approximately 10.5" across the middle of the horn.